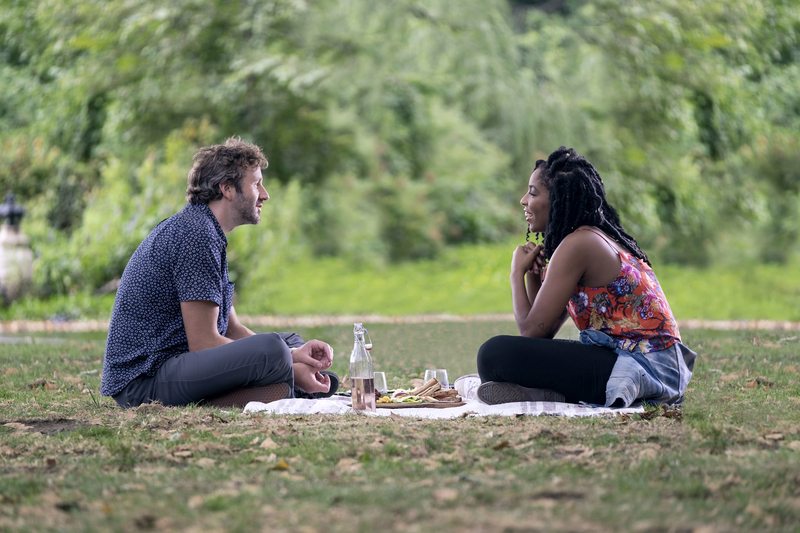 In The Incredible Jessica James, available on Netflix starting Friday, Jessica Williams plays a 25-year-old playwright who’s just gotten out of a relationship. When we meet her, she’s already grown impatient with the meaningless small talk of the dating scene. That quality of self-confidence links Williams in an interesting way with Regina Hall, who stars in the raunchy comedy Girls Trip, which opened last weekend (aside from the fact that they both worked with Jessica James writer-director Jim Strouse in the 2015 romantic comedy People Places Things). 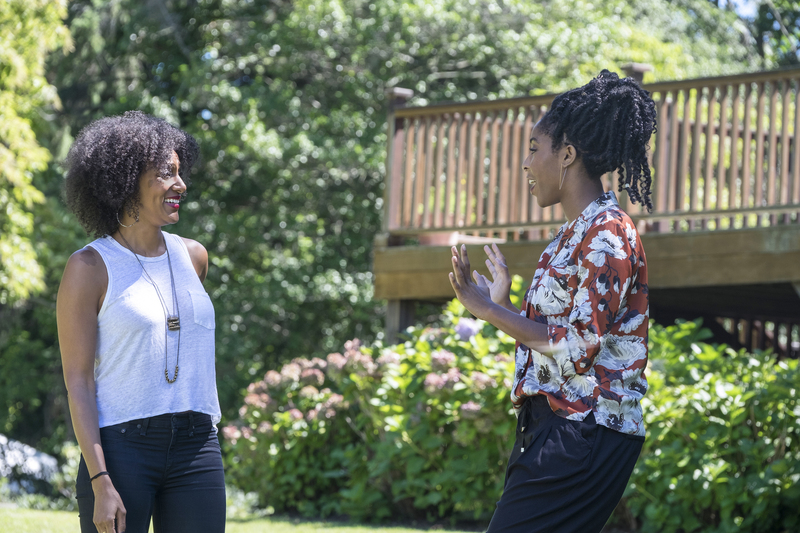 We see both characters, Williams in The Incredible Jessica James and Hall in Girls Trip, talking themselves up. They give themselves little verbal boosts, even though they’re at different points in their lives. This confidence can seem a bit incongruous for the Jessica James character at times. Although her day job is teaching theater and playwriting to school-age children, she can’t find a theater company or a fellowship that wants to produce her plays. She writes at a desk in front of a wall filled with rejection letters but never lets professional success determine her self-worth. That’s not an easy lesson to learn. And when you consider that Jessica James is 25 (Williams is about to turn 28), it’s pretty inspiring. There’s a scene in which James is negotiating a hookup with Boone (Chris O’Dowd). Jessica is trying to charm her way into his apartment after their second date. They’ve already slept together on the first one, but Boone, who is several months removed from divorcing his first wife, wants to take things slow. Jessica has a different idea about what should happen. Boone relents, because really, who’s going to turn down Jessica? “We can always say good night in the morning!” she says cheerfully. I asked Williams if there is any additional meaning in the fact that the woman we’re watching live her life without unnecessary apology is black. James’ blackness doesn’t announce itself in Jessica James, which takes place in New York. She lives in “deep, deep, deeeeeeep Bushwick,” as she says in the film — not, say, Bedford-Stuyvesant or Crown Heights. Her ex-boyfriend Damon (Lakeith Stanfield) designs cellphone cases for a living. There’s an unspoken irony in having the film’s lead be black while her best friend is white, a nifty subversion of the “black best friend” trope. On top of that, the white best friend’s name is Tasha (Noël Wells). Whether it was intentional or not, I found it clever and I totally snickered at it. A rhythm and a trust develop between actresses and the writer-directors who know how to exploit their comedic sweet spots. There’s Leslie Mann and Judd Apatow (it helps that they’re married to one another), Melissa McCarthy and Paul Feig, Madeline Kahn and Mel Brooks, and Hall and director Malcolm D. Lee. We may be witnessing the fruits of a similar creative partnership in Williams and Strouse. Strouse is comfortable with Williams improvising lines, and the result is a character who speaks in a voice that feels completely natural. But I think Strouse sees something in Williams as a black woman, even if he doesn’t scream it in his scripts, the same way he saw something in the talented Hall. There’s a power in seeing a self-aware black woman on screen who simply proceeds through life like she hasn’t been defeated by it, like she still feels she can make a difference, like she still believes that the world is hers. Maybe that’s why so many black women spend so much time telling ourselves how wonderful we are: It’s a self-fulfilling prophecy. The more we say, “I’m smart and beautiful and powerful,” the more we insist that we’re “unicorns,” the more we make it so.